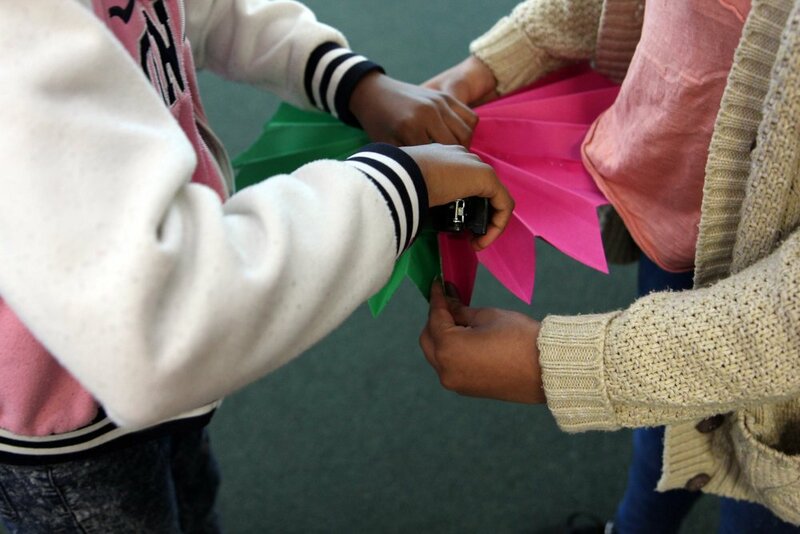 This summer in homes, schools, libraries, market places, parks and squares across Camden, people are making paper flowers. Not just one, not two but hundreds of colourful flowers. Library collection boxes are filling up and our bags-for-life and laundry bags are groaning. 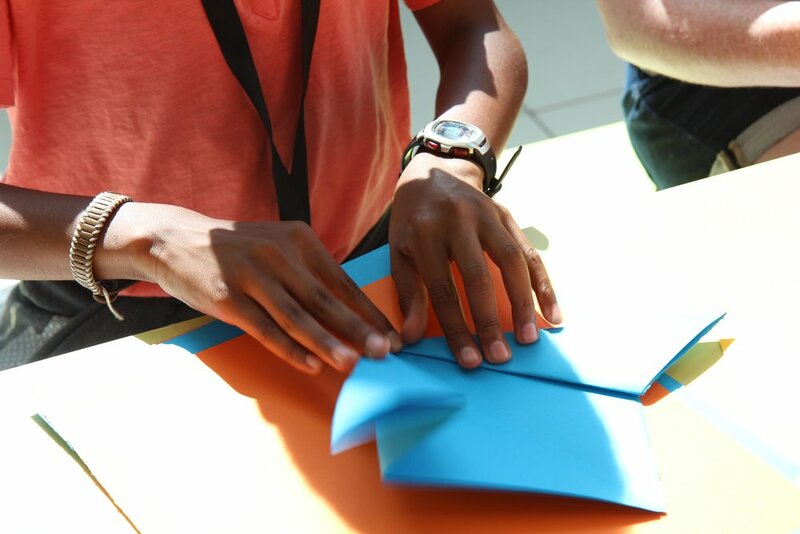 Now they’re almost ready to set sail on their voyage as part of Camden Sentido. 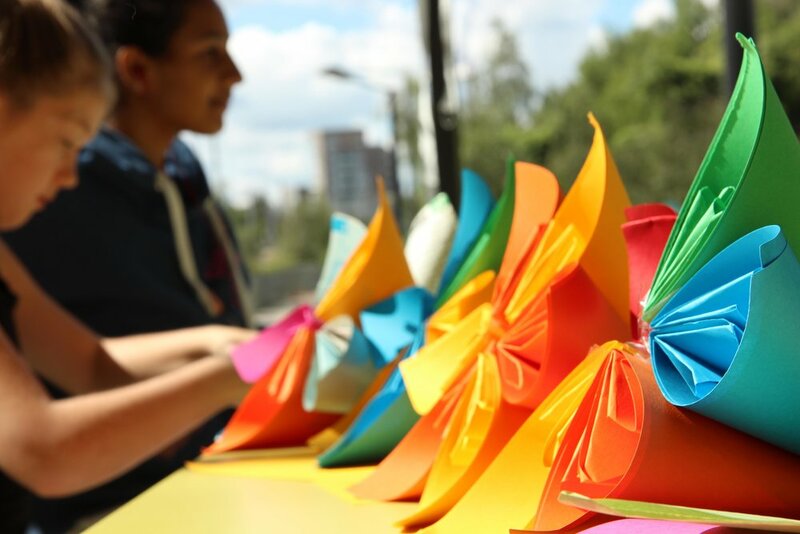 Almost 500 local residents, children, families and visitors to Camden have folded cut and stuck reams of paper scraps to make beautifully crafted flowers for Project Yemanjá. Yemanjá, the mother of water and goddess of the sea is celebrated in Brazil as a symbol of care, femininity and strength. Yemanjá represents the constancy of the tides and waves at sea and at the same time, change, transformation and growth. Every year in Brazil at New Year thousands of people place offerings from flowers and letters to perfume bottles and beauty products in small makeshift boats and send them out to sea. With these offerings, people make wishes for the year ahead. This weekend will mark our collective offering to the goddess Yemanjá. All the flowers made as part of Project Yemanjá will set sail in a journey along the Regents Canal from Camden Lock to Granary Square. Brazilian music and song aboard the boat will tell stories of the sea and share wishes from the Camden community to the goddess Yemanjá. The Project Yemanjá boat set sail from Camden Lock at 1pm on Saturday 27 August.